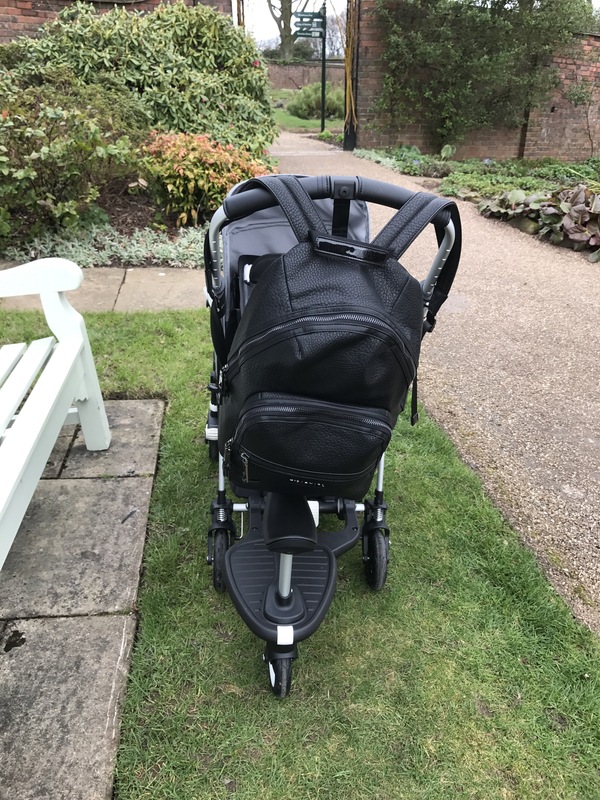 Product Review- The Bugaboo Bee⁵ – it's a mums word..
As many of you are aware from my recent posts, for the last few months we have been road testing the new Bugaboo Bee⁵. It’s been a crazy and exciting few months where we’ve welcomed the birth of our second baby boy, alongside my oldest monkey finally getting to grips with walking and not wanting to sit still. 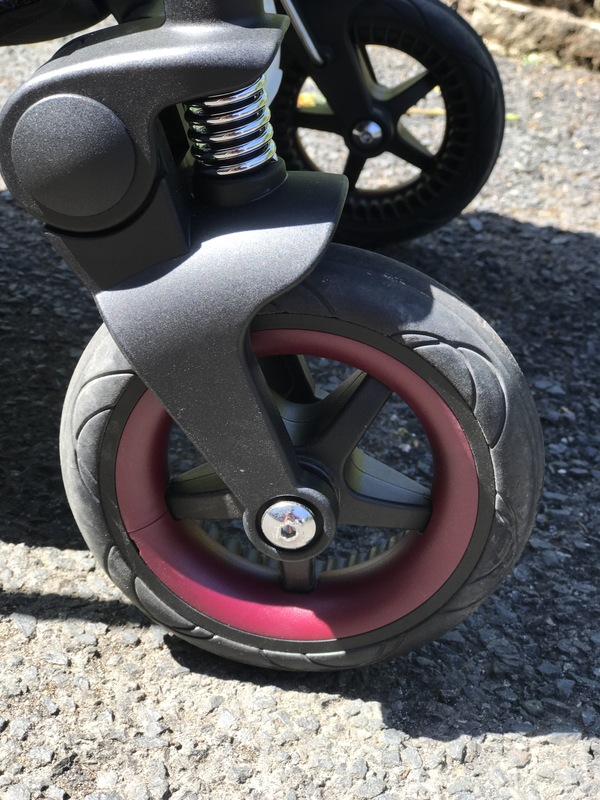 So the road test couldn’t have come at a better time to allow me to see if I really need a double buggy (don’t get me wrong there’s nothing wrong with them but being so teeny tiny myself I really don’t want to go down this route) or if can I ‘make do’ with a compact system paired with a toddler board? 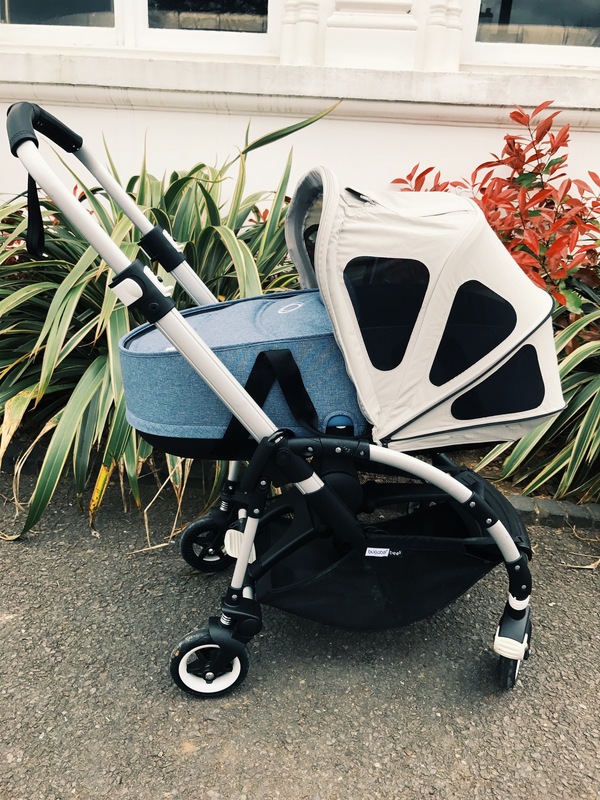 We are major fans of our actual travel system, the Bugaboo cameleon³, which is why we were very excited to test out the Bee⁵. Being new to the Bee, we couldn’t wait to see why this compact system is so highly rated. Fully customisable from top to bottom (yes, even the wheels can be customised). More on this a little later. Improved seat design which features a super comfy padded seat and a seat that adjusts and can grow with your child. Newly designed basket under the seat which includes a handy pocket for the rain cover (ever been caught in a downpour and it takes forever to get to your rain cover as your basket is filled with so much stuff?!). Five point safety harness which, for some reason my monkey lets me strap him into, using the four straps (no other contraption at the moment is popular, we have daily struggles getting into the car). Improved front wheels and suspension, ensuring a smooth ride. You can click here, for more details on the specification and features. It does what it says on the tin…it’s compact and lightweight! In fact it’s 8.9kg compact! For a short and petite person like myself, it’s so easy to maneaouvre (one handed) and assemble and dissemble. I’m lucky enough to have my mum and sister help a lot with the babies and the added bonus here is that Bee⁵ is also lightweight for my (kinda elderly) mum to use on public transport and it actually fits inside my sister’s boot! This was a major bug bear with my actual travel system as my sister takes my monkey out a lot! Oh and the Bee⁵ fits perfectly assembled in my awkwardly narrow front porch which means I can get a sleeping baby safely in the house without waking them up…massive thumbs up for this! It’s versatile. The Bee⁵ has made the transition to two babies under two so, so much easier. 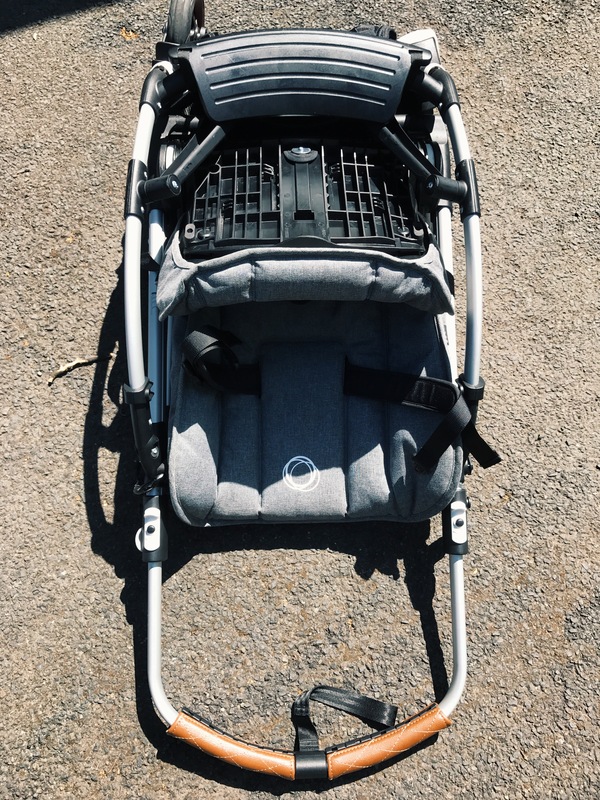 My oldest monkey had been using the Bee⁵ for around a month when his little brother came along, and the first time we got the bassinet out he broke down hysterically as he felt his brother had taken his place in the pushchair. Thankfully we had the toddler board already so I got it out and made him feel special about his new ‘chair’. I love how I can take them both out using the toddler board and when my biggest monkey decides he wants to walk instead I only need one hand to steer the Bee⁵ so can keep one hand on him! The bassinet is nice and cosy with the extra padded insert, but the seat can also be reclined flat for a newborn. This is great for only having to take one thing out with me, and the frame, bassinet, seat, and toddler board do all fit nicely in my boot. 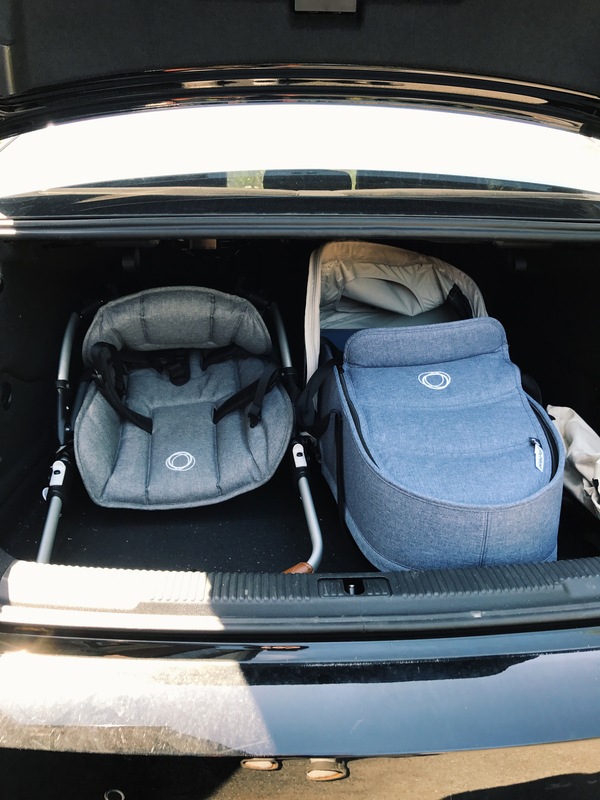 I love how I can keep my options open, with a sling packed in the underseat basket, I can switch who is in the stroller between my toddler or newborn easily. Mums of toddlers know how quickly a toddler can change their minds or not co-operate, so this really is a blessing! 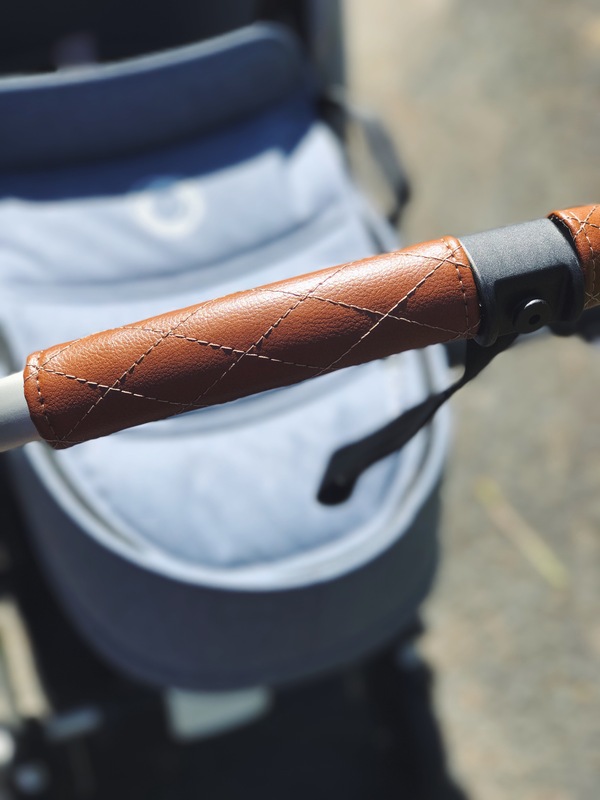 It’s also versatile in terms of who is pushing, the handle bars adjust easily to suit the height of the person pushing, and the seat can be world or parent facing depending on preference or where you are and what your doing. Customise to suit your style! There are some days were I barely make it out of my pjs, but when I do manage to make an effort I want to look and feel good.. and I love how the Bee⁵ can be customised to suit your style… I’m a little obsessed with pastel colours at this time of year, so I love how I can compliment my pastel blue coloured bassinet (call me sad, it’s okay I know), and the leather strap is so on trend! 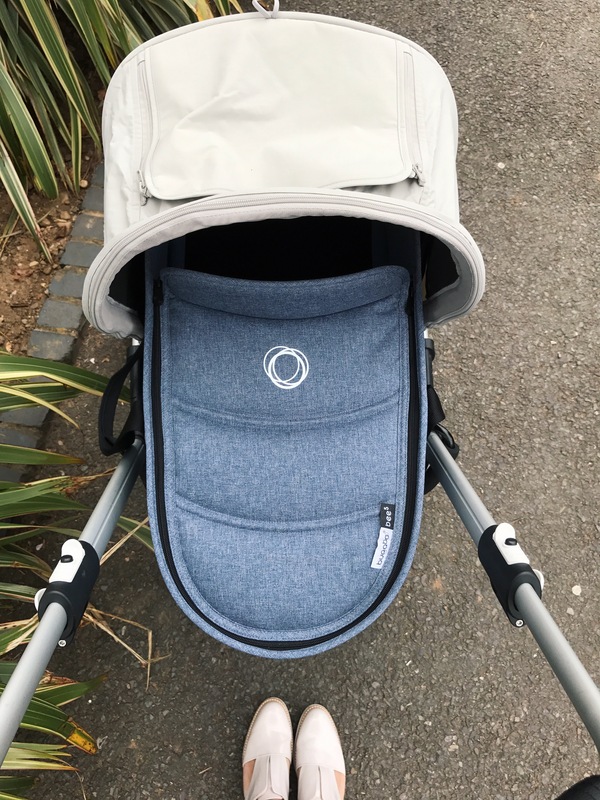 I love how you can give your stroller a makeover for different times of the year (particular love the sun canopy for warmer weather or holidays), or even if you wanted to change how it looks for a new baby without forking out for a new stroller. Easy to assemble and dissemble. The Bee⁵ gets a big thumbs up from me on this front. And the whole family have learnt how to do it too (which may sound silly but not everyone could work out how to do it on my actual travel system). It did take me a few attempts to get the hang of attaching and detacthing the seat but it’s super simple once you do get it. And once I discovered you can dissemble the entire stroller with the seat attached, it was a game changer. When your out and about and it’s no longer in use, it’s very useful to be able to dissemble it (one handed in one easy step)… this would be ideal for holidays and travel! Myself and husband share a car and we’re always having to take all the baby essentials out of the car when he goes away for work trips. Having just one piece to move around and store makes things so much easier. This feature is also great if you don’t have a car or use public transport a lot, or like me have a hands on grandparent who doesn’t drive. The seat.. I’ve mentioned most of the benefits already, but felt the seat itself needed a thumbs up all by itself as it is so versatile. The seat can be adapted to different situations, you can recline for naps (and all the way flat for newborns), or have your monkeys sat upright in the nicely padded seat. As mentioned, it can be world or parent faced and the stroller dissembles with the seat in place.. for me this is the best thing about it and has made my life so much easier. For me, the Bee⁵ has proven to be easy to use especially with two babies under two, and above all versatile. It really does suit parents and families that are always on the go. 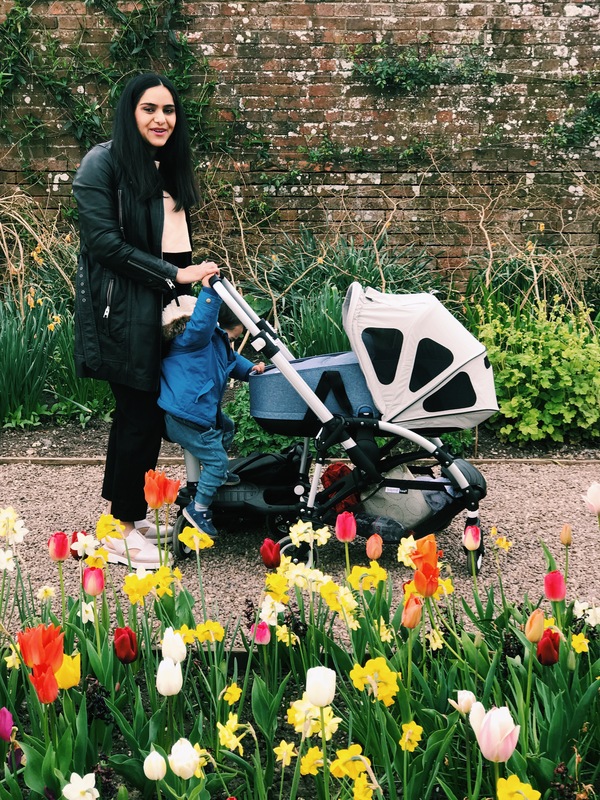 Having road tested it extensively, I have truly loved using the Bee⁵ and love how great it looks, I’ve never been complemented so much on my buggy! I only have a few niggles to point out..
You have to walk towards one side when using the toddler board (like any other stroller and toddler board) and walk at a slower pace if like me you have a toddler that may not cooperate and sit still! This is not always great if your trying to get your newborn to sleep! But this is something that happens with all toddler boards, and is a small price to pay if it means you don’t have to carry your toddler when they get tired! It can be tricky to access the brake with the toddler board in use. Access to the under seat basket is via the front of the stroller, which took me awhile to get used to. This isn’t a major issue, just something a little different. Attaching the sun canopy turned into a little ordeal (taking me an hour to figure out), but I was sleep deprived and had two screaming babies to contend with. I’m pretty sure it would have been so much simpler had I not had a newborn screaming and severe baby brain! After the first time, I’ve not had any issues and can now attach and detach it in seconds. So will I be getting a double stroller? Hell no! 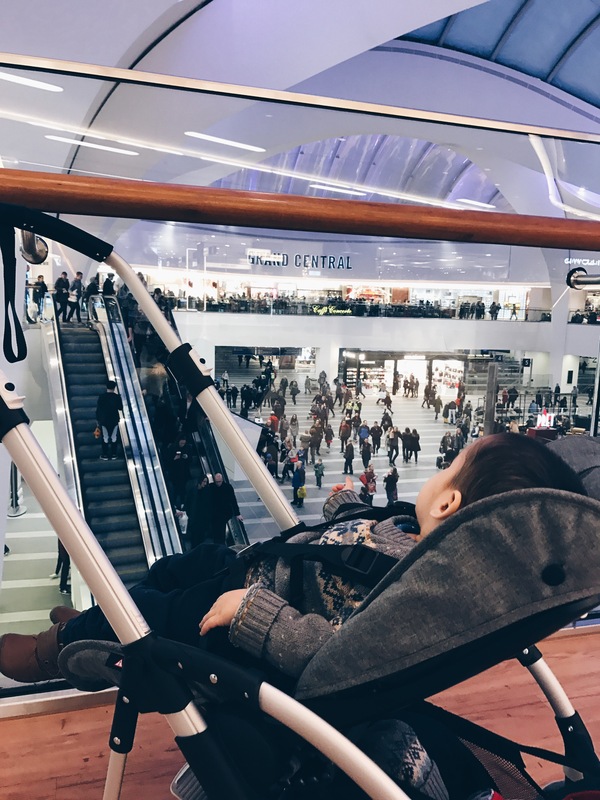 After using such a lightweight and compact stroller, I wouldn’t be able to switch to a larger and bulkier double…I’m so glad I didnt rush to buy one before my newborn arrived! I will be sticking to the systems we have in place now as I’m confident they will continue to meet the needs of my little family. 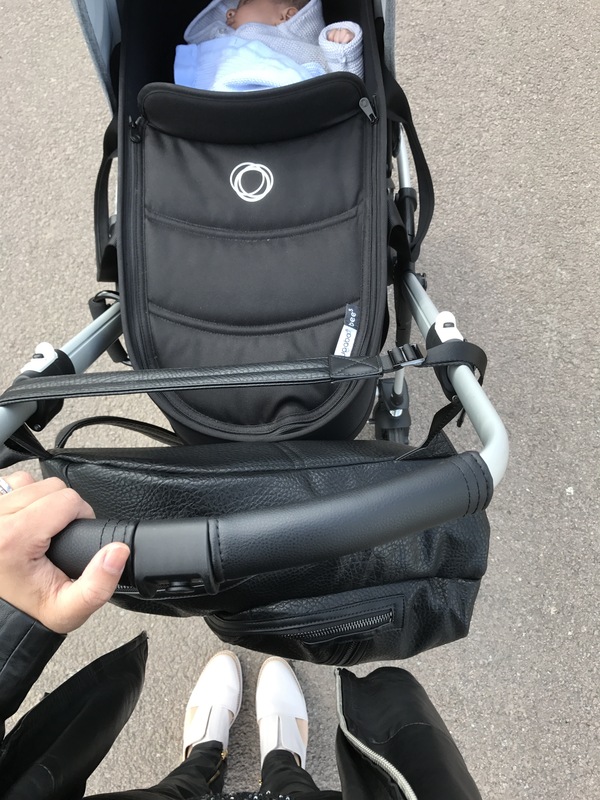 I recieved this product from the lovely people at Bugaboo for the purpose of road testing and reviewing it, however all opinions expressed are my truthful and my own, my little family truly love everything about the Bee⁵.